We now have Silver or Gold Gilding for album pages. Gilding is a decorative process in which a metallic coating is applied to the edge of each album page for a touch of luxury. Dazzle your clients with new Foil Pressed Cards in 4 metallic colors: Gold, Silver, Red or Copper. Choose from 24 gorgeous designs, perfect for the holidays or special occasions all-year round. Foil Cards are available in BRI ROES only, sold in packs of 25 cards. Price includes Standard White Envelopes or you can upgrade to Foil-Lined, Watercolor, Shine or Natural Envelopes for an additional charge. Introducing new Double Float Metal Prints! With a hidden gatorfoam mount, we float a front Metal Print 1/2" off the surface of a larger back Metal Print for a dazzling 3-D effect. The back Metal Print creates a 1" frame around the front Metal Print or, for the front prints sized 16x16" and larger, the back print creates a 2" frame. We now have irresistibly eye-catching GOLD faux edging in Foamboard Standout Mounts for Photographic Prints. These lightweight yet durable mounts make your print polished and easy to hang. Choose from Brushed Stainless, Black, White, Maple and now NEW Gold. ¾" and 1-½" depths with a keyhole hanger. Available in 3 popular sizes, the dye-sublimated, glossy image finish and carved edge ogee create an enduring sponsor gift or package add-on. Plaques feature edge finishes cherry wood grain or black, a 5/8" ogee (oh-jee), and 2 keyholes on the back for both horizontal and vertical wall mounting. Heritage Albums have all the prime features of our professional albums at an unbeatable price for clients on a budget. Pages are printed on Luster or Deep Matte Photographic Paper mounted to thick warp-free boards; you'll see excellent image color and feel a firm hand-weight as you turn each page. Spreads lay flat and feature a tight center crease for beautiful, continuous panoramics. Covers are animal-friendly, vegan leathers in a soft, pebble grain. Add a flush-inset cameo and foil embossing for a high-end finishing touch. Available in 4 sizes, starting at just $119. Make custom designs instantly with Composite Prints. Drag your images into our beautifully designed templates, update text fields and print. Choose from hundreds of Classic Designs for small prints and album pages as well as New Designs for large wall displays. And the same great mounting options found on standard Photographic Prints are available for Composite Prints, too. Sizes 4x6" to 24x36". Available in BRI ROES only. 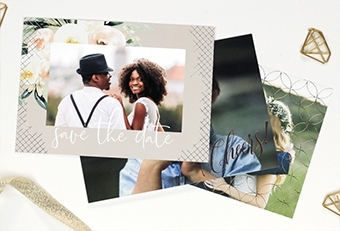 With new Seamless Creased Album Pages clients can enjoy unbroken panoramic spreads across a tight center crease. Our popular Micro Gutter Pages are still available too. Choose the best album ordering software for you: BRI ROES for Albums & Books is perfect for pros familiar with the ROES interface. For more control, use Cascade for its album design templates and flip-through previews of covers and spreads. Cascade also allows you to order Companion Books with just one click. Note to Cascade users: please update your software to see the new Seamless option. You can do this by clicking File and Update Application. Now you can get your Folio Box lined in the same materials as our premium covers. Choose from 15 fabrics and 3 faux leathers. Not available in Sparkle or Photo Cover options. Folio Boxes come in sizes 5x7", 8x10" and 11x14" in 5 depths to accommodate 10-65 prints. What makes Framed Metal Prints unique? We use special high-heat inks and a technique called dye-sublimation to print your image on aluminum, giving your photo vibrancy and detail comparable to high-definition television. Because the ink is fused into - not on top of - the metal, your image appears to shine from within. The hard, scratch-resistance Metal Print is paired with one of our many handmade Frames for an unforgettable wall display that arrives ready to hang. Now you can bring the drama of Metal Prints to the desktop with new Curved Metal Prints. These semi-circular prints stand alone, no frame or easel necessary. Curved Metal Prints available in 4x6" to 12x18". Photographers choose our high quality wood or metal Framed Photographic Prints in a range of colors with professional options like matting or acrylic to protect the print. These long-lasting pieces arrive ready to hang in the home, studio or gallery. Folio Boxes now have an optional Panel mounted to the inside of the box cover. Reserve this special inside Image Panel for a candid shot, pattern or logo. Our improved Glacier Album is sleek and sublime. The acrylic cover is larger and is face-mounted to a glossy 1/4” thick acrylic. The cover image extends to the flame-polished edges for greater impact. Nuanced details make for a sleeker design: the acrylic face has gently rounded edges and sits flush with the black matte leather spine for a seamless look. Get ready for a new feel in photo prints! Pro Photographers love Fuji Deep Matte for its non-reflective surface and velvety soft feel. Deep Matte is now available in print sizes from wallets to 20x30". Introducing new fabric, faux leather and sparkle covers for our popular Tuscany Albums. These are the same great cover materials found in our Photo Books, so you can match your album with parent books for a complete wedding suite. You've raved about our boxes. So how do we make a show-stopping product even better? With new Sparkle Covers! These smooth-as-silk papers have their brilliance baked right in; no glitter flecks or flaking. Perfect for weddings, bar/bat mitzvahs, quinceañeras, seniors and holidays.